We are a payout provider and supplier of domestic and international payment solutions. International telephony numbers are used as a Micropayment-Tool to bill your services. You receive a payout each time the numbers are called. International payment solutions are accessible from all over the world and can be used for different kind of services such as TV-shows or service-hotlines. Our 24/7 Support will assist and advise you how to earn money with your service and will help you win new markets all around the world. We will boost your business by providing IVR and call center solutions or bulk-SMS services to promote your numbers and your offer. We are also prepared to provide you with customized solutions for the individual needs of your business. Premium rate telephony numbers are used to provide and bill offers called Value Added Services. Domestic Premium Numbers are meant to be used for in-country promotions and are not accessible internationally. Therefore they are ideal for regional markets. Many of our clients of Domestic Numbers are regional media companies who use the numbers as responsive element for voting, polling or winning games. Bulk SMS is a powerful direct marketing tool which enables small and medium businesses to reach global audience directly on their phones. 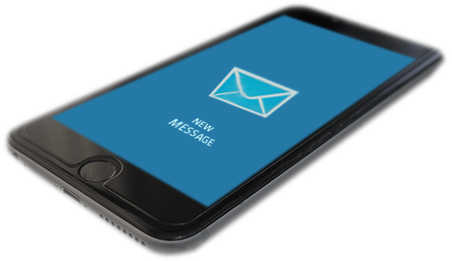 Customized, instant and straight to the handset, promotional or informative SMS is a direct line to your customer. This marketing tool builds a strong line of interaction with your customers. Our advantage is the huge number of direct interconnections with telecommunication carriers and operators all over the world. Due to our long-standing experience in the field of Value Added Services we know very well what the needs of today’s outbound campaigns are. as an app on your smartphone and on your tablet! We think that’s a huge step forward to make life easy and your experience of working with kwak! 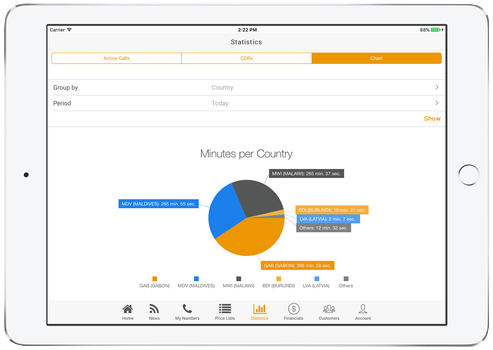 Now you can manage and monitor your business and use our services wherever you are!